Ballymore's new docklands development ' Dublin Landings'. 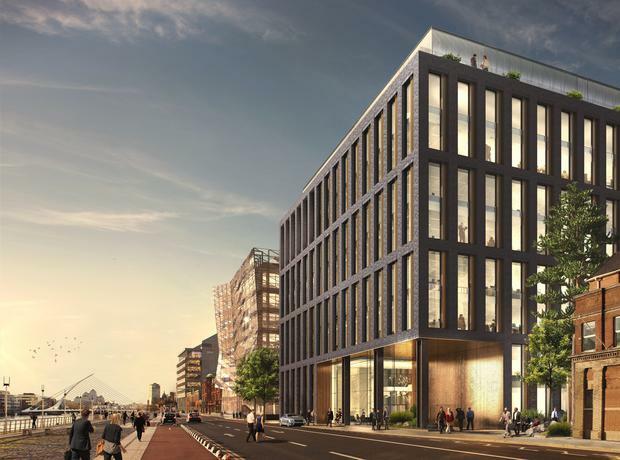 Sean Mulryan's property firm Ballymore has launched a new business district in Dublin's docklands, that will see the development of five new office blocks. The million square foot development, dubbed Dublin Landings, will also be home to 273 luxury residential apartments. Dublin Landings, which will see the National Treasury Management Agency (NTMA) as its first tenant, is located on North Wall Quay, near the new Central Bank headquarters, the Three Arena, and the Gibson Hotel. Development rights for the 2.35 hectare site were secured by Oxley Docklands Quay Limited, who have partnered with Mulryan to build the project over the next four years. 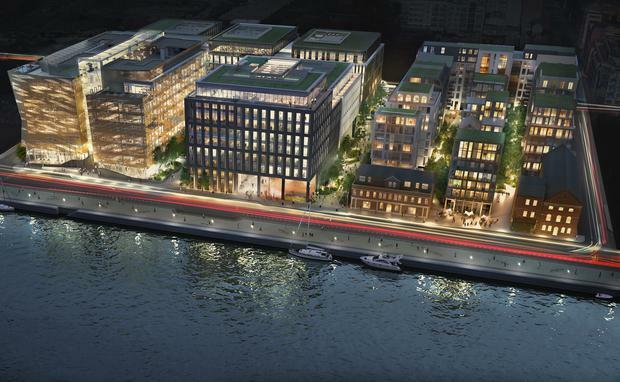 Ballymore chairman Mulryan said North Wall Quay has great potential. "The calibre of tenants expressing interest in Dublin Landings is a testament to the quality and scale of the development which will, we believe, not only define new standards for mixed-use development in Ireland, but also match international standards," he said. Construction of the first two blocks is already underway, with the entire lifetime of the project set to create 2,000 construction jobs. Walls Construction has been appointed as main contractor for block one and two. Oxley and Ballymore have already worked together, launching and selling one of the fastest selling mixed-use projects, Royal Wharf, in London. Oxley chairman Mr Ching Chiat Kwong was thrilled by the company's first foray into the Irish market. "We have great confidence in the Dublin market and particularly the central business district. This unique mixed-use site is unlike any other in Dublin and we look forward to working with Ballymore," he said. Ballymore predicts 5,500 people will live and work in the area upon completion. 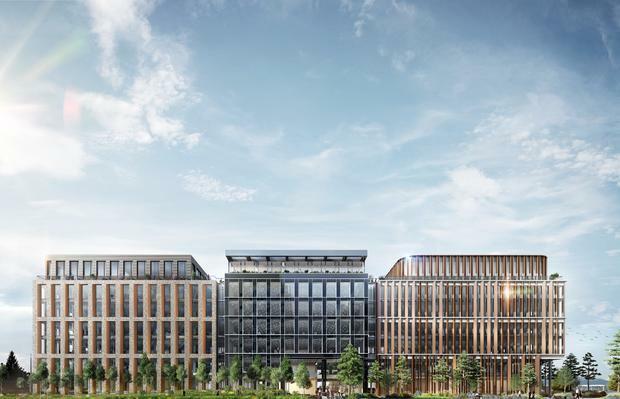 The final project will be made up of 700,000 sq ft Grade A office space, as well as the apartments which will come in one, two, and three bed varients. Its first tenant, the NTMA, is set to move in in Summer 2018.